Rizk Casino is an online casino whose main goal is to provide online games that impress with their wide range and outstanding quality. The website of the online casino is very user-friendly and simplified in order to help players navigate through it effortlessly. It has its own unique design that features the superhero Captain Rizk which makes it easily recognisable. The online casino always puts its players first and it strives to live up to their expectations no matter what. It aims at providing its online users with a virtual gaming experience which they have never been able to gain before. In order to do that, the company has come up with a number of interesting innovations, among which is the appealing Wheel of Rizk. Thanks to it, players are able to get amazing rewards that can be won instantly. It is worth mentioning that these special prizes don’t have any wagering requirements, something that can be considered a rarity in the online gaming world. Rizk Casino believes in transparent playing that is completely deprived of any hidden terms and conditions that are unfavourable for the players. This is the reason why it aims at offering one-of-a-kind promotions and special deals whose requirements are clearly stated and visible. It is a fully licensed casino which is entirely committed to providing its players with the highest possible level of protection for their personal data and details. The minimum deposit at Rizk Casino is £10. 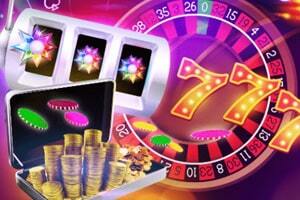 Occasionally, the online casino offers its players no deposit bonuses such as free spins. 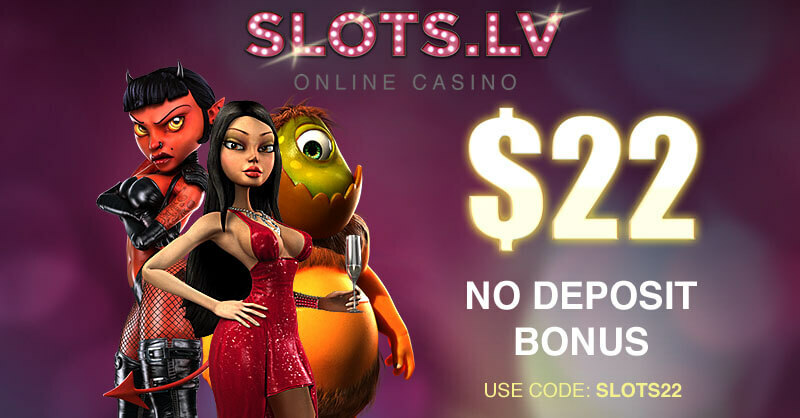 However, these are valid only for a certain period of time and thus, it is best if they visit the casino’s website in order to find out the latest promotions. New players are provided with the opportunity to take advantage of a welcome bonus. 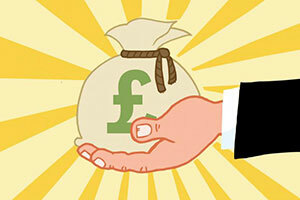 The online casino’s offer is as follows: a 100% welcome bonus on their first deposit that is up to £100. Additionally, they will also get 50 extra spins on Second Strike. Rizk Casino gives its players the chance to take advantage of some of the regular casino promotions. They can be found on the casino’s website under a section called Rizk Insider. These exclusive deals usually apply for a certain period of time which is the reason why players should check the website on a regular basis. Presently, Rizk Casino doesn’t offer a Loyalty Programme. However, its regular players are rewarded every time, they play online games at this casino. 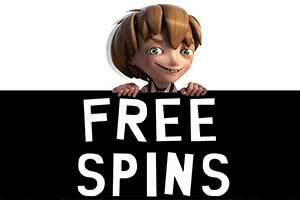 This time instead of the usual bonus comps, players are rewarded with free spins of the Wheel of Rizk. The more they play the casino games, the faster they fill up the power bar. Once the bar is full, players level up and thus, get the chance to try their luck on the special wheel. The high-quality games at Rizk Casino are powered by some of the leading software providers, among which are NetEnt, NYX Gaming, Evolution Gaming, Microgaming, IGT, Play n’GO and others. Some of the popular jackpots that can be played at RizkCasino are Divine Fortune, Mega Moolah, Holmes and the Stolen Stones, Mega Fortune, Hall of Gods, Mega Joker and others. Players can also enjoy some of the mega jackpots the online casino offers – Siberian Storm, Cleopatra and Isle o’Plenty. Players can choose from a wide range of online games which have been conveniently separated into different categories. Some of the available games include Video Poker, Table Games, Roulette, Blackjack, Classic Slots, 3D Slots, Live Dealer Games, Jackpots and others. Rizk Casino offers many of the most popular casino games live – Live VIP Blackjack, Live Roulette Pro, Live Caribbean Stud Poker, Live Three Card Poker, Live Ultimate Texas Hold’em and others. Players have the chance to play at this online casino not only on desktop but also on mobile and tablet. The mobile casino is compatible with a number of devices, including Android, iOS and Windows. 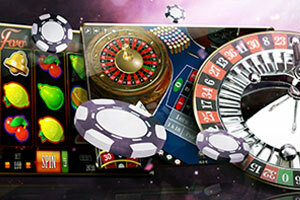 Thanks to the fully responsive mobile version of the online casino, players can play on the go at any time they like. It is possible to make deposits at RizkCasino by using some of the following payment methods: Mastercard, Visa, Neteller, Skrill, iDebit, Paysafecard, ecoPayz, Trustly, Zimpler and others. The currencies that the online casino supports are GBP, USD, EUR, AUD, SEK, NOK and others. Rizk Casino is available in English, German, Norwegian, Swedish, Finnish and others. Players can contact a customer service representative via live chat and email. The live chat feature is considered to be quicker which is the reason why in case of any urgent matters, it is best to use this option. If players choose the other available contact option, then they can send an email to customercare@rizk.com. Rizk Casino has operating licences issued by the Government of Curacao, Malta Gaming Authority and the UK Gambling Commission. If you are looking for a way to enjoy fun casino games and boost your gaming balance at the same time, you can always rely on Rizk Casino to provide numerous gaming options that can suit the taste of any gambling enthusiast. At this virtual casino, you will be able to get a kick out of playing different casino games that fall under various categories. Not only, can Rizk Casino offer a wide range of fun options, but it will also provide only the best and most popular games in the iGaming industry. 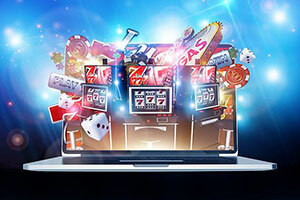 This is due to the fact that the online casino has joined forces with the most influential and creative software developers on the virtual gaming scene. Rizk Casino has plenty to offer and covers all popular categories that make a web-based casino a perfect destination for different types of casino fans. 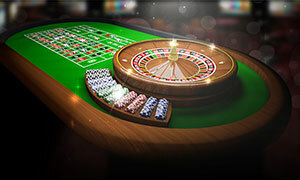 In order to help players to enjoy the ultimate casino experience, the interactive casino has sorted the games both according to their type and their themes. This way, in addition to the typical choices, casino patrons will also be able to pick games that fall under categories such as Hollywood, Horror, Action and Adventure, Lucky’s Choice, Nights and Lights. If you have ever been to a brick-and-mortar casino, there is no way you have not seen the long queues for slot machines. Maybe it is the simplicity of the game that attracts so many casino lovers but it is certainly a popular casino genre which can be found at Rizk Casino as well. Those who enjoy spinning reels in the hope of landing high-paying combinations will have a great time at this virtual casino. If you have been into casino entertainment for quite some time, you have probably seen or heard of fruit machines. These are classic slots with 3 reels and a single payline. Despite their simplicity, these variants of slots are extremely popular and can be found at Rizk Casino. Many slot fans prefer classic slots since they usually impose lower risk but can still reward lucky winners with impressive payouts. Members of this interactive casino will be able to test their luck on titles such as Laser Fruit, Fruit Spin, Deco Diamonds and many other classic slot variants. The real fun at Rizk Casino begins when you head to the section with 3D slots. There, you will come across games with innovative and exciting themes which can appeal to fans of movies, TV series, and various fictional characters. Multiple paylines and up to 6-reels are the advanced features that the 3D slots of Rizk Casino offer. If you are interested in some of the hottest slots at the moment, you can try Rich Wild and the Book of Dead, Starburst, Vikings Go Berzerk and many other popular titles. When it comes to classic casino games, you can always see players gathering around roulette tables which are extremely popular in the casino entertainment industry. At Rizk Casino, you are guaranteed to enjoy your experience to the fullest with the roulette variations it provides. It is due to the wonderful work of NetEnt that casino members will be able to revel in playing European Roulette, French Roulette and American Roulette. There are a lot of players who enjoy betting on roulette variants that utilise the European rules. This means that there are 37 possibilities where the ball can land and the house has a lower advantage compared to the American version of the game. This being said those who enjoy the riskier two-zero pocket variant of roulette will be able to play the game at Rizk Casino. Each of the roulette variations available at this online casino has a user-friendly interface, crisp graphics and advanced betting options that can make each player’s adventure more rewarding and thrilling. Rizk Casino is also a great place for fans of the game of 21. Diversity is an important factor that determines whether a certain interactive casino is a proper destination for virtual players. There is certainly no doubt that blackjack enthusiasts will be able to explore plenty of options at Rizk Casino. What is more, the games under this category can fit the bankroll and preferences of different players. If you take a look at the options that this interactive casino provides, you will find NetEnt’s Blackjack Professional Series with three different betting limits. This way players can opt for making low bets, standard ones or place high stakes that can bring them bigger payouts. Thanks to these three blackjack variations all types of casino patrons will equally enjoy their online gambling. Other versions of the classic card game can also be a great source of entertainment and a way to boost one’s gaming balance. 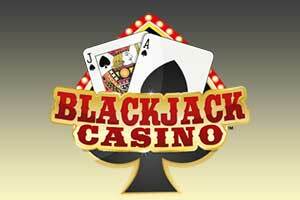 A multi-hand version of blackjack is also available at Rizk Casino, as well as Deal or No Deal Blackjack. If you are interested in poker but you do not feel ready to fully commit to the game, you can try your luck and skills on video poker. This casino game is considerably easier to play and you have great chances of sweeping good payouts. That is, of course, if you pick the right video poker variation and use the best strategy. Although luck is a key element of a successful video poker game, there are still ways to tilt the balance in your favour. In order to improve your chances of winning on video poker, you should pick a game that offers good odds. At Rizk Casino, you will be presented with an abundance of video poker variants. This way you will be able to pick the title that suits your needs the best and can allow you to use your best winning strategy. If you are a member of Rizk Casino you will be provided with options such as Jacks or Better, Deuces Wild, Double Double Bonus Poker, All American and many more. Thanks to the different video poker variants available at the online casino, players can pick the title they believe will bring them a rewarding outcome. A simple way to make your virtual gambling more diverting is to take your chance and try winning one of the progressive jackpots that Rizk Casino is providing. There is no way you will not be engrossed by the fun themes of these games and, on top of that, you will be presented with the opportunity to become a millionaire in just a few seconds. If you are trying to sweep several millions, you can head to the Jackpots section of this virtual casino. There, you will find plenty of titles that attract many casino patrons with massive progressive jackpots. As long as players keep making bets on a progressive game they contribute to the prize pool which is constantly growing until one lucky casino patron hits the winning combination. If you feel like luck is on your side, you can bet on Mega Moolah, Arabian Nights or Major Millions which are the top progressive games with massive jackpot prizes at the moment. The only thing that you will have to remember in order to be qualified for receiving the ultimate payout is that you will have to make a maximum bet. 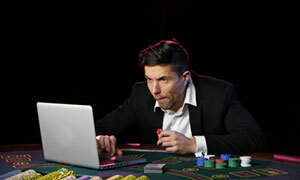 Many believe that online gambling is lacking authenticity and cannot offer the same fun interactions that are typical for brick-and-mortar casinos. This, however, is not the case with the live-dealer games that Rizk Casino has in store for its patrons. For this category of entertainment, the interactive casino has decided to rely on NetEnt and Evolution Gaming. Both of the software providers are well-known for offering some of the best live-dealer games. 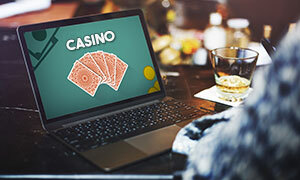 This is due to the fact that they are streamed from top-class Live Casino studios specifically built for the purpose of providing high-quality virtual gambling to online players. If you load Rizk Live Casino, you will see a handful of live-dealer versions of roulette, blackjack, baccarat and poker. There is also the game Dream Catcher which will give players the chance to spin a wheel of fortune and possibly win great prizes. The great thing about the Live Casino games available at this website is that players have the opportunity to choose between tables with different betting limits which can suit the bankroll of various casino patrons. Can players play without downloading the software of the online casino? Yes, players can enjoy a number of interesting online games instantly as there is no need to download any software. They can easily access the website by using their computer or mobile device. Either way, they will be able to fully enjoy the online games and get extremely entertained. What is exactly the Wheel of Rizk and how can players benefit from it? One of the main goals of the online casino has always been to provide its players with the best promotions and bonuses which will improve their online gaming experience significantly. This is the reason why it has introduced the Wheel of Rizk – an exclusive feature which enables online users to win a number of great rewards, including special bonuses, free spins and even cash. Players can try their luck on the Wheel of Rizk straight after they have made their first deposit. Does the online casino have any other special features? Yes, players also have the chance to participate in a special tournament known as Rizk Race. This way they have the chance to win great prizes and compete with other fellow players. The winner is the player who have managed to collect the most points. Every time, the casino enthusiasts level up, they receive such special points which serve as a reward from the Wheel of Rizk. 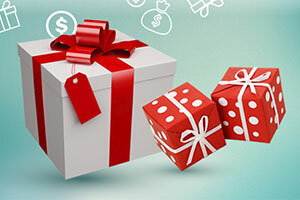 How can players take advantage of the welcome bonus the online casino offers? It is very easy to take advantage of the available welcome bonus due to the fact that there is no special code required. All that players have to do is to make sure they meet all of the requirements of the welcome package. If they qualify for the welcome bonus, then it will automatically become available on their casino account within a few minutes. Is it safe to play at Rizk Casino? Rizk Casino is a fully licensed online casino that doesn’t spare any effort and time when it comes to providing high level of protection to its customers. Its gaming activity is strictly monitored and regulated by independent gaming authorities. Its cutting edge security systems have successfully proven to provide reliable protection which is in accordance with the established security standards. Whenever players play in this online casino, they can rest assured that their sensitive information won’t be shared to any third parties. I opened an account at Rizk casino because I saw they gave a 200% match bonus on the first deposit, which I thought was outstanding in comparison with the welcome offers at most of the casinos on the Internet. After registering, I deposited £20 with Visa and received £40 as a bonus, which was amazing. However, it turned out I had to wager the amount of the bonus 45 times on video slots. With the exception of this requirement, everything in this casino seems lovely. The games are great, depositing is easy and instantaneous, while withdrawals are processed within 1 to 3 days. Overall, the casino is designed beautifully and with user-friendliness in mind, so I can easily rate it with 4 stars. If the wagering of the bonus gets down to 20 or 25 times, I will definitely give Rizk the maximum rating. Rizk has been my favourite casino for several months now and I’m satisfied with almost everything it offers. The collection of games is huge and a lot of software providers are represented here, while the payments are reliable and relatively fast. I’m grateful to the support guys for being so polite and helpful all the time, although the issues I’m having right now are beyond them. Some of the games lag or crash while I’m playing, while others don’t load at all, which is a real shame because the graphics are great and generally, most of the games are really high-quality. I hope the casino solves this problem very soon. It’s a real nightmare when the game crashes in the middle of the spinning. I like almost every aspect of playing in this casino and I definitely love every minute of it. The site has a modern appearance and the games rarely crash – it happens sometimes and I feel it depends on which web browser I use. However, the deposits are instant, the payouts are fast, and the customer support is very polite and helpful. I also like the bonus package – a 200% match on the first deposit, as well as a free spin on the Wheel of Rizk. There is one thing that I find really frustrating though – the withdrawals are charged a fixed fee of £2.5 and deposits with Visa, MasterCard or Paysafecard are charged 2.5%-5%. I think the casino should consider removing the processing fees altogether, as so many other casinos already did. This is a very fun and trustworthy casino and I love playing here because of the amazing games and the beautiful site. I’ve never tried the live casino, but all virtual games load without a problem. The last time I was here, I deposited what was left in my card - £20, and I started betting on video slots and surprisingly, I won £18 on Starburst, and of course, lost some at other games, too. My balance was now £35 and I decided to try the virtual blackjack – I’m a careful, low-bet player and I don’t like risking too much. After an hour or so playing with the lowest bet (£0.10), I left the casino with £42, not much, but I’m happy I earned £22 in a few hours and I will definitely return to play here. Rizk is one of my favourite online casinos because of the great game selection – slots, table games, live casino, and video poker, and the fast withdrawals. The website is very modern and pages load instantly even when I play from my phone (it is an Android phone, I will not specify the brand, though). Some players say that the casino features too few providers, but I would say that this is ridiculous, because there are games from NetEnt, Play’n GO, Microgaming, NYX, IGT, and many others. And the live casino is provided by Evolution Gaming. 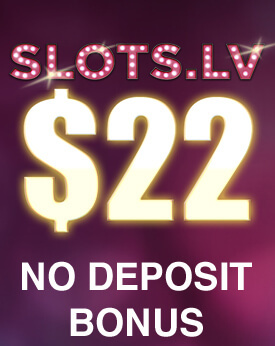 The welcome bonus is 200% match on your deposit and although it sounds very nice, it comes with an awful 45 times wagering requirement, which is really difficult to meet.